A searchable directory of free web hosting services with ratings, reviews, and forums. Watermark free image hosting with 500mb free monthly bandwidth, galleries available for free and paid accounts. A directory list of services offering free web hosting of pictures and images, with user reviews and ratings of each. Provides free Invision Board Hosting. Features multiple skins. Ad-supported. A directory of free image and other file hosting services sorted by supported file types/extensions. Offers web site hosting services, including free trial. Features ratings of selected free web hosting providers. Features a list of free hosting providers and reviews of services offered. Website design and hosting services, offering commercial web hosting, free shopping cart and store fronts. Offer free customizable phpBB hosting. Offers free phpBB based forum hosting. Ad-free. Provides free and paid forum hosting based on SMF software. Ad-free. Offers free and paid discussion board hosting. The free version is ad-supported. Free option is available which is limited to two auction uploads per user for an eleven day period. Provides free phpBB hosting. Ad-supported. Professional and affordable web hosting and design, free front page extension, and free domain name registration. Web hosting company based in Canada providing free domain name, free setup and a 90 day money back guarantee. Searchable database with reviews of free webspace providers offering personal websites in English. Web hosting with free 30 day trial, immediate setup, FrontPage, free shopping cart, counter, guestbook, and discussion forum. Free and paid image hosting for auctions or family albums, free web templates and auction ad generator. Offers specialty designed auction templates as an add-on service. Pioneering online service that provides companies, groups, departments and other communities with free intranet applications, free web hosting and a free custom URL. Every intranet is customizable, including company or organization identity, specific industry-related news and integration of existing web applications. Reviews of free PHP webhosts, including detailed chart of MySQL and PHP scripting environment details, and links to sample hosted websites. Maine web hosting, website design and promotion. Free domain registration. Hosting plans featuring Urchin Stats, PHP, ASP, CFM, Cold Fusion, Miva, CartXpress, SiteXpress and ContentXpress, plus spam and virus filters. A web hosting company that offers free domain name registration and e-commerce solutions. Offers web hosting services for Unix and Windows as well as a free hosting package. If the business hours of GNP Web Hosting in may vary on holidays like Valentine’s Day, Washington’s Birthday, St. Patrick’s Day, Easter, Easter eve and Mother’s day. We display standard opening hours and price ranges in our profile site. We recommend to check out globalnetgnp.com/ for further information. 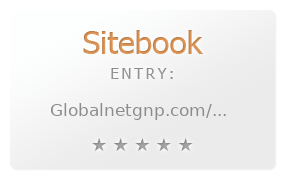 You can also search for Alternatives for globalnetgnp.com/ on our Review Site Sitebook.org All trademarks are the property of their respective owners. If we should delete this entry, please send us a short E-Mail.